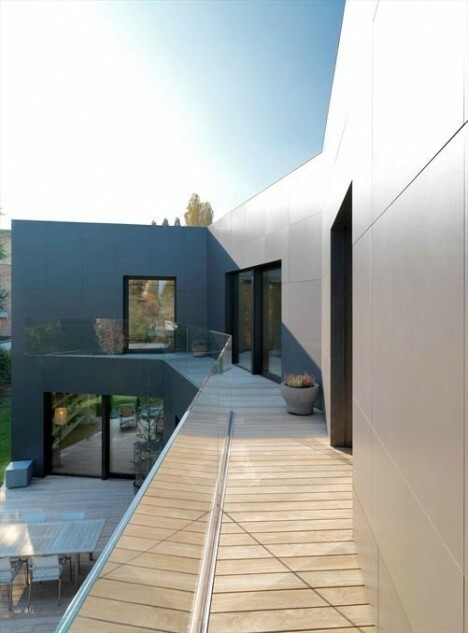 Modern, Big and Extravaganza are the 3 word that perfect to describe this modern house design called Sassuolo House which was designed by Enrico Iascone Architects. Located in Sassuolo, Italy, this crib features modern minimalist design-both in exterior and interior, without lack of comfort, although the entire wall finished in dark color. First time we entered this house, we would amaze by the living room’s interior. So cozy and welcoming, warm and spacious. The living room assembly with high fashioned living room furniture. The designer create more private area for the living room by using lower level for gathering area, and higher for the home library. 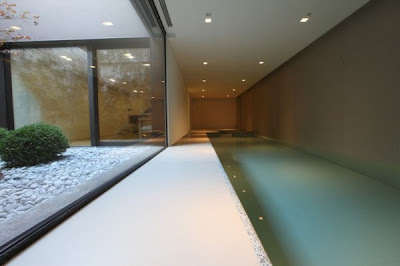 The house also has indoor pool that adds serene atmosphere to the room. So inspiring crib ever! Yes, you did read that right, and no, this is not an amazing, unattainable and loftily aspired-to concept product. The Scanomat TopBrewer is a living, breathing, milk-frothing, espresso-dripping piece of fully-automatic and stainless steel genius. The elegant, cleanly arching faucet and sculptural bean supply are the only visible parts of the quality beverage machine. The rest of the complicated parts are neatly tucked away beneath the counter. 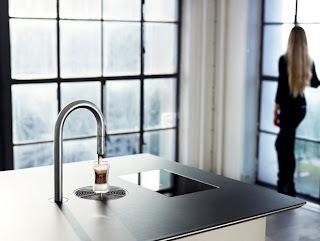 The Brewer can create hot and cold beverages, dispense juice, froth milk and compile ingredients to form your favorite coffeehouse combo. 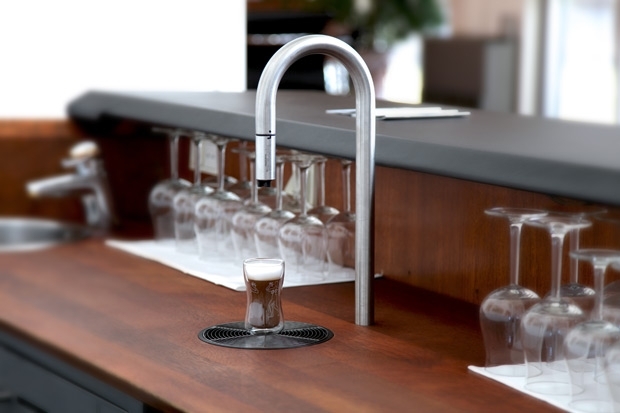 For initiating brews, the unit includes a touch screen with a below-glass ordering interface. Or, if they're just that cool, users can send orders and commands via the iPhone. 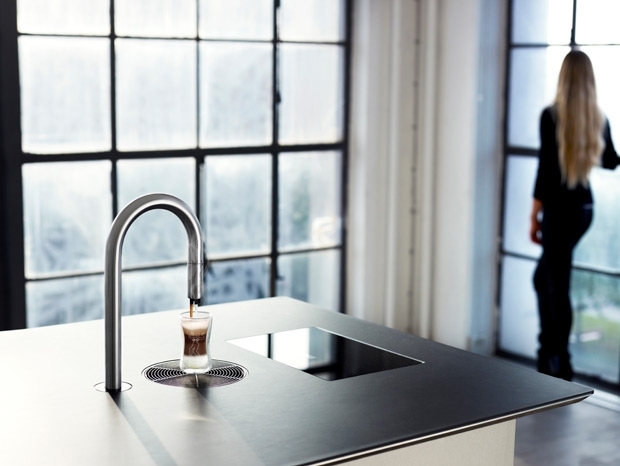 As if that weren't enough to make immediately run out to the proverbial store and get one of your own, the unit also boasts fresh water use and is self-cleaning. 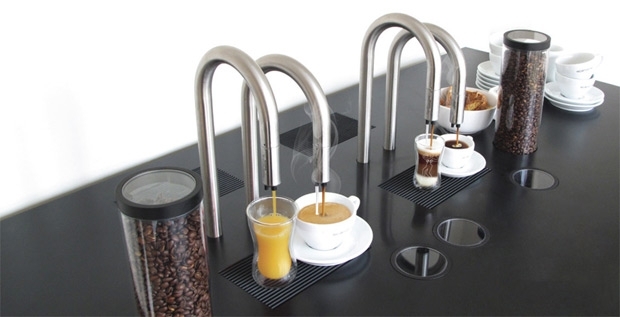 The Scanomat TopBrewer fully redefines what we might ordinarily perceive as a coffee brewer. 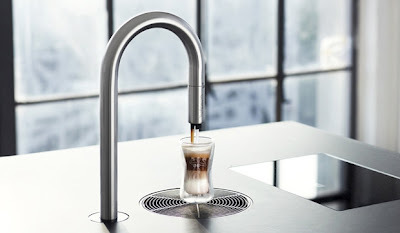 "All drinks are brewed to barista standards using precision grinders, tamper pressure, pump pressure and water temperature." 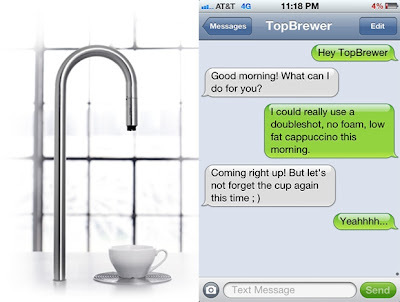 "Finally, the iPhone makes coffee." Thank goodness, no more interacting directly with machines. Now we can message our coffee maker—it will listen and reward you with a beverage of your liking. This very well could be the pinnacle of human, technological greatness. Though we're not sure how much this amazing machine will set you back, since Scanomat has yet to release pricing or purchasing details.